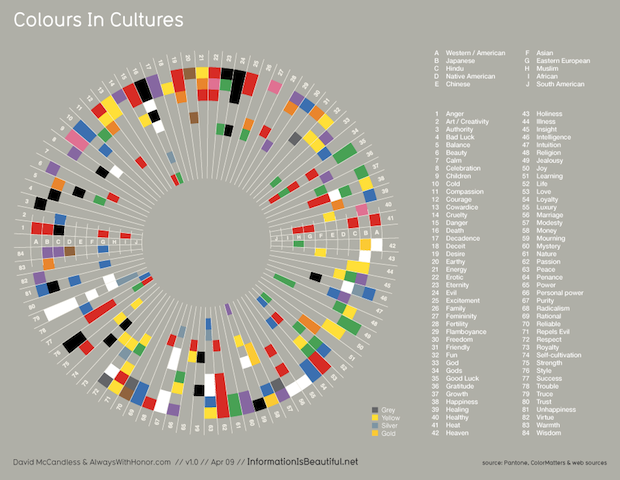 Colors are probably the most obvious way that design varies across cultures (a theme that came up in our interview with Frog Design about designing for China). 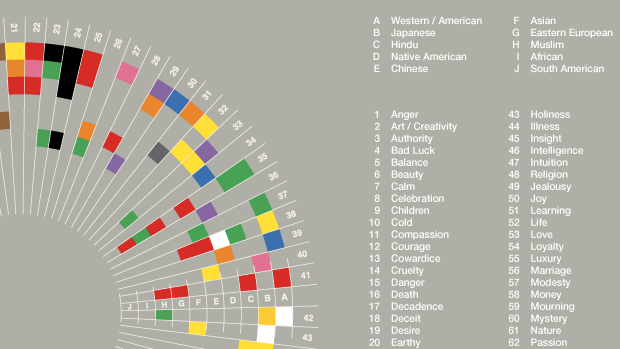 But the funny thing is that for most designers and companies, those color sensibilities often don’t rise past “Red is lucky in China; blue is soothing in the West.” That’s naive, as this superb infographic by David McCandless and Always With Honor shows. For a slideshow of McCandless’s previous work, click here.